So many stories to tell…. I apologize for not updating this site with all my adventures lately. I hope to get back to using this site regularly as my paddling is continually taking over more and more of my life and leading to bigger and better adventures. – World Outrigger Championships in Tahiti in June. – Hosting clinics at the Gorge and getting to work with so many inspired paddlers! – Being named as a Puakea Team Rider. Partnering with Vaikobi and being able to wear their Ocean Gear line to keep me cool and out of the sun at the World Championships and all summer long! – Coaching many paddlers from Kelowna and Harrison throughout the season has been a huge highlight. Watching these people grow in skill, strength and confidence makes me happier than any title I win. Thank you to all the people that have supported me along the way! There’s more to come! Leanne, originally from Parry Sound, Ontario, now lives and trains in Kelowna, BC. She is an elite paddler in Outrigger, SUP and Surfski though she got her start in Marathon Canoe. Dispite her diagnosis with Type 1 Diabetes in 2006, Leanne has become one of the top paddlers in Canada. With her background in Kinesiology and Teaching, she has become a sought after Coach as well. 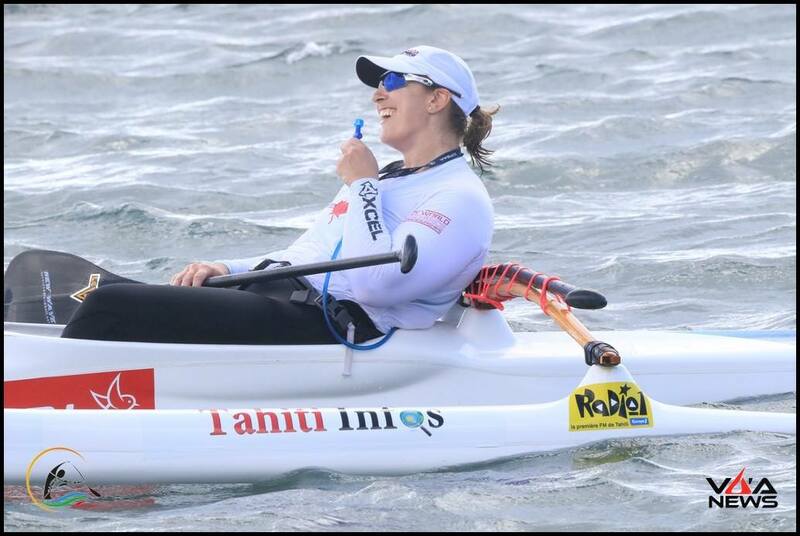 With numerous Provincial and National titles to her name and a member of some World Champion teams, she still strives to stand atop the individual podium at the World Outrigger Championships. She is currently looking for Sponsors and Supporters to help her on her journey to become the fastest woman on water. 2016 World Sprints here I come!